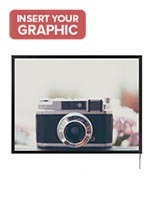 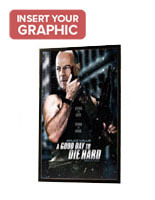 Are you in search of a poster frame to make your signage pop? 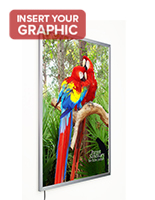 Our hanging LED light boxes are a great addition to any commercial environment to display promotional advertisements. 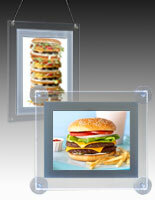 We have illuminated frames in sizes ranging from small 8.5” x 11” to larger 36” x 72” models - and everything in between. 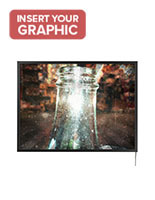 Our backlit graphic holders are often found in retail settings or restaurants to showcase featured products, sales, upcoming events, and menus. 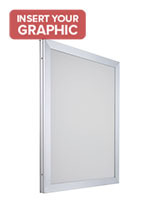 Our entire catalog of hanging LED light boxes have the ability to be hung in both landscape and portrait orientation. 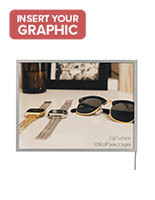 Most of the models available are snap-open frames, and some have binding screws and hardware for replacing signage. 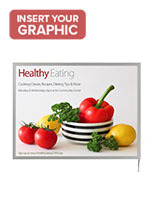 Snap-open designs are ideal in high traffic environments or in settings where signage is constantly being updated or replaced. 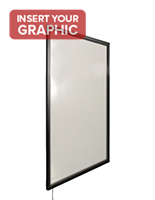 Some models are double-sided which is ideal for simultaneously advertising in a window and showroom floor. 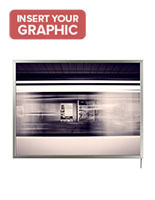 You can also find these light-up frames in airports or subways where there is a large amount of people. 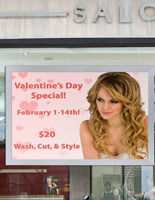 In public places like these, companies can advertise on either side of the frame - to passersby coming from both directions! 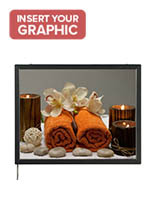 Our backlit illuminated frames are ideal for window and wall use. 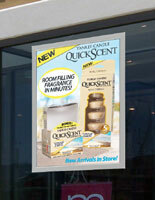 Are you a store owner looking for something to catch the eye of people passing by? Our hanging LED light boxes are bound to draw the attention of visitors to your store. 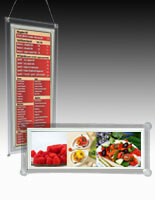 Do you run a restaurant and need a way to showcase your menu even in a dimly lit environment? 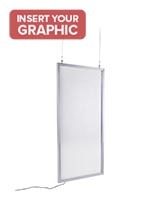 Place your menu on a window or wall in our light-up signage holders, and passerby will have a clear view of what you have to offer. 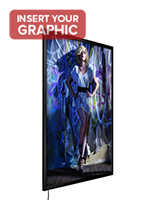 Our backlit illuminated frames come in finishes to complement any setting. 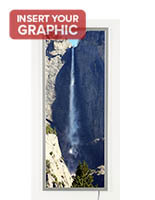 Silver, black, and clear frames are available. 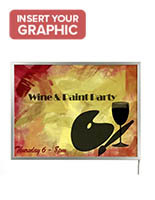 The neutral colors offered make it possible for signage to be the main focus to people passing by. 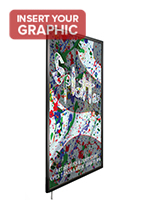 Display promotional signage in a vibrant way with the help of our backlit hanging frames! 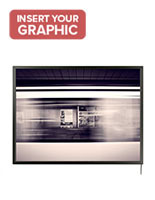 Displays2Go offers a diverse selection of light boxes to fit any environment. 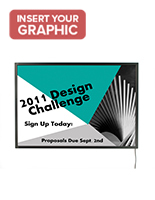 Get your message out there with our high quality signage holders. 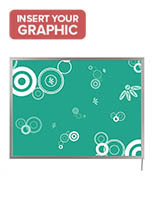 Shop online today at Displays2go for quick shipping, and low prices!